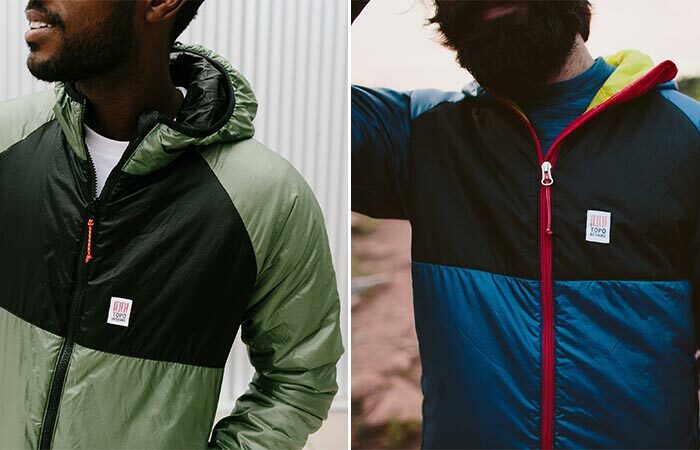 Today, we’re focusing on outfits and accessories from Topo Designs, a Colorado-based company devoted to modern functionality. We cover seven products that will make your day easier, no matter if you’re going on a day trip, spending the weekend camping or running errands. A lightweight outdoors hoodie that won’t let you down. This extremely packable hoodie is perfect for outdoor activities and travel since it can be compressed and fit into any backpack. Besides its storing capacities, the hoodie provides everything you need – warmth, comfort, and functionality. It features a lightweight Primaloft fill with 60% recycled content and nylon ripstop material. It has a hood, front zipper closure, and two convenient side pockets. Available in four color combinations. 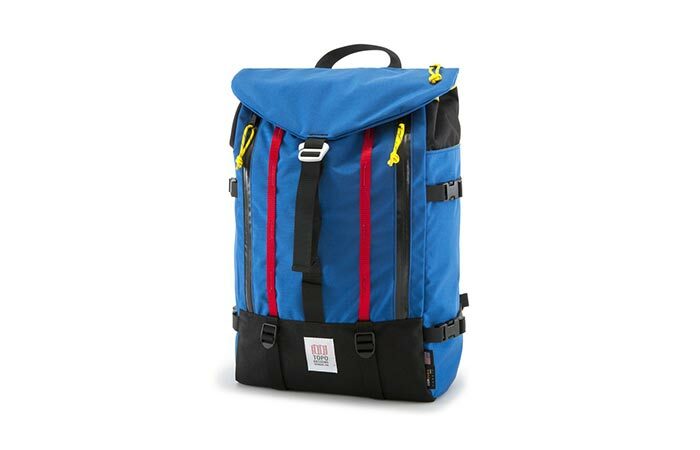 Whether you’re hitting the city streets or getting ready for a hiking trip, this bag will take care of your needs. 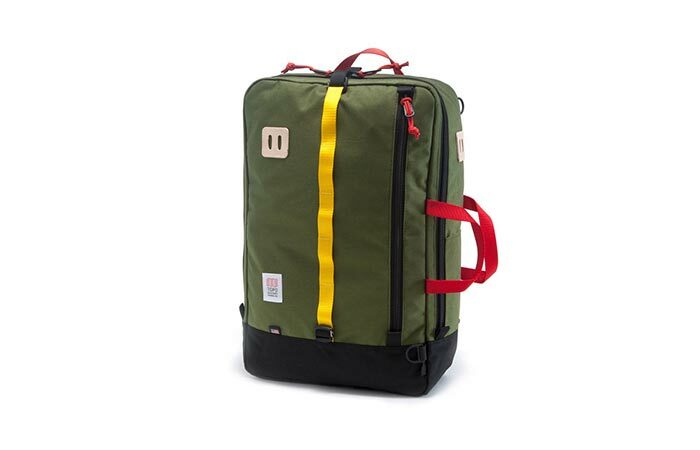 It is made from heavy-duty plastic hardware incorporated with a Cordura fabric base and outer material. As for storage, you’ll find a large compartment with a sleeve that can fit 15″ laptop. Side pockets are ideal for carrying water bottles and in the exterior zippered pocket you can hold items you need close at hand. The backpack has a 21.5 L capacity and weighs 28 oz. An addition to your Topo Designs hoodie. The Mountain Sweatshirt offers everything you need for this kind of apparel- it’s comfortable, durable and will keep you warm. The material used for making it is 100% polyester Melange fleece that has a soft interior and hard-faced exterior. At the same time, it will feel cozy to the skin and will offer protection from the wind. Also, the material has moisture-wicking properties. The sweatshirt is tailored to have a slim fit and kangaroo pocket at the center. You can get it in three colors. 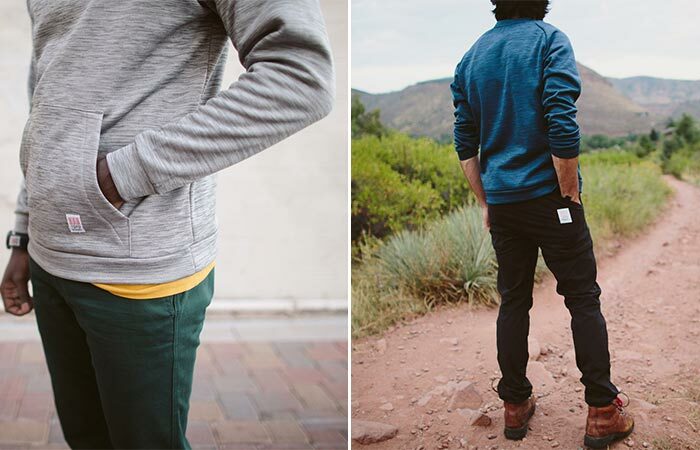 Pants to bring on hiking trips and outdoor getaways. When creating Tech Pants, Topo Designs wanted to make something that will be suitable for all sorts of environments and activities. The pants they made are breathable and lightweight, so you can move easily and in a wide angle of motion. The combination of 96% nylon and 4% spandex allows increased functionality, thanks to a bit of stretch. You will find two large front pockets and two rear pockets with zipper security pocket for carrying your wallet and other smaller but precious belongings. More details include cord locks at the ankles and a quick-release T-lock belt. Not to forget the DWR finish that allows easy river crossings. Here’s a bag that will fit all your needs for a couple days of a trip. The Travel Bag is very compact and can fit many things inside while still being categorized as a carry-on bag. Besides the big main compartment, there’s a zippered pocket for your laptop and a pocket for smaller devices like iPads and smartphones. Two side pockets are ideal for a small notepad and water bottles while the front tabs and webbing can be handy for attaching gear. Another thing that makes it convenient for travel is the multiple carrying design. You’ll find padded shoulder straps but also handles. If you need more storage, just attach the Trip Pack to it and carry two bags at once. Keep all your toiletries together. 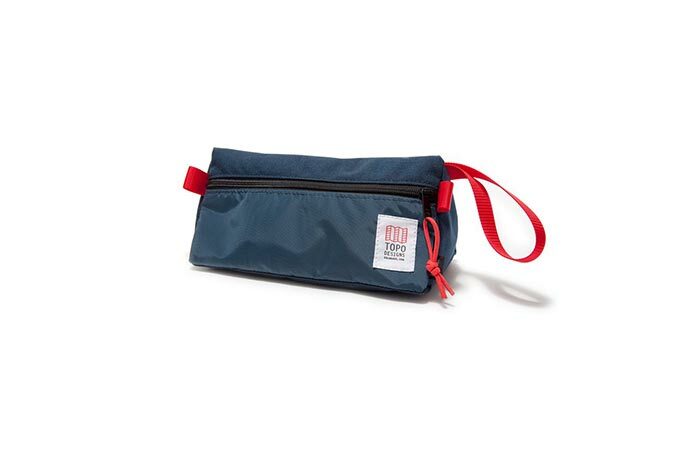 One more item from Topo Designs that is travel ready. Dopp Kit uses the recognizable Cordura fabric exterior and a triangular shape. This shape makes it easy to pack and access your items when you need them.There’s also a handle loop so you can hang it in a bathroom or in a tent if you’re camping. Finally, the cloth lining is water resistant, so cleaning it will be no hassle. Your drinks will stay hot and cold for long periods of time. The last item today is made in a collaboration with MiiR. 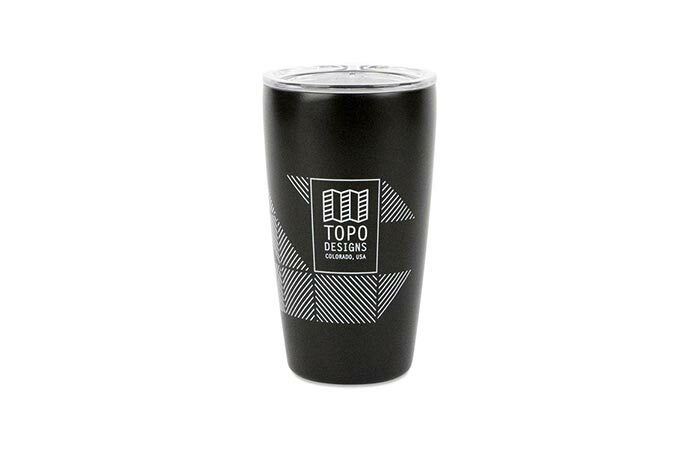 This tumbler has a 12 oz capacity and a stainless steel, BPA-free construction. It uses a Thermo 3D double wall vacuum insulation technology, so whether you pour it a hot or cold beverage, it will maintain the temperature. The seal is leak proof and the powder coat makes it convenient to hold and clean. If you buy it, part of the money will be added to the fund for trackable clean water and health projects in areas of need around the world. Available in black and white.